Following a year of touring to a number of East Coast venues, this exhibition concludes with an exhibition on the West Coast at Beacon Arts Centre in Greenock. 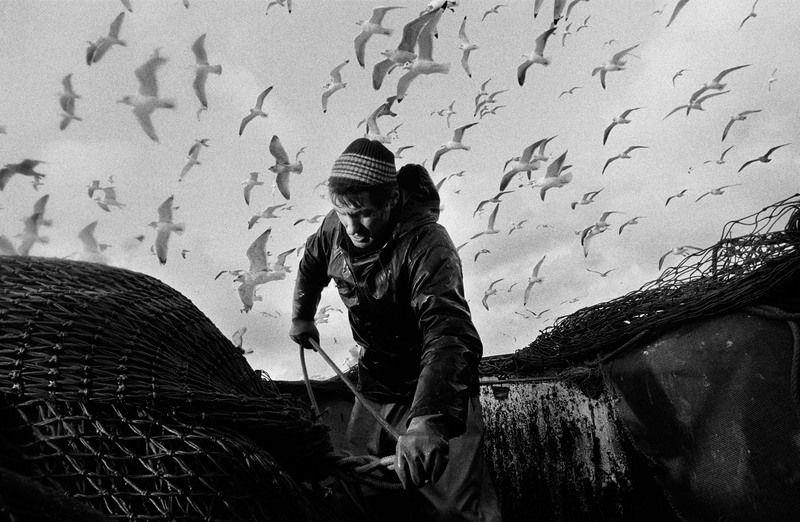 The exhibition comprises of black and white images shot aboard the seine net fishing boats, Mairead and Argosy, in the North Sea in the 1990’s. These images, by Scottish documentary photographer Jeremy Sutton-Hibbert, capture the reality of the life at sea for the fishermen of Scotland’s North East fishing communities - the cramped conditions, the monotony, and the grueling work in harsh conditions. The show is generously supported by Scottish Fisheries Museum, Street Level Photoworks, Loxley Colour, Scottish Fishermen’s Trust and Scottish Fishermen’s Organisation. This is the final venue on the exhibition tour which has included shows at Scottish Fisheries Museum, Peterhead Arbuthnot Museum, Montrose Museum, Signal Tower Museum, Bonhoga Gallery, St Fergus Gallery, Wick and Thurso Gallery.